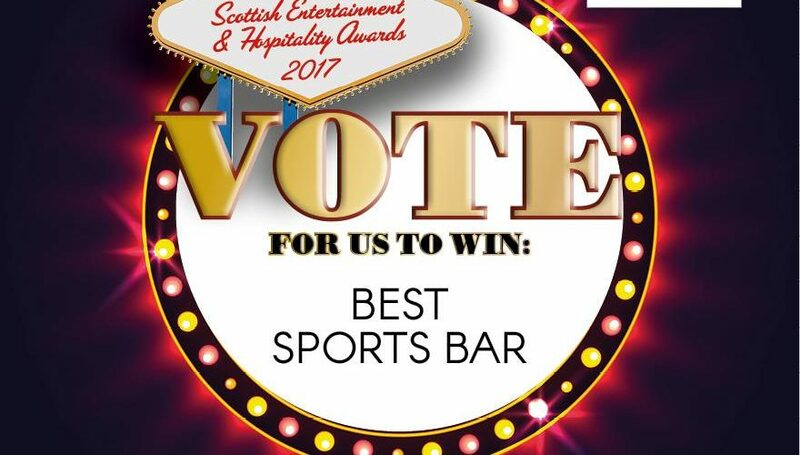 Sportsters has been put forward as Best Sports Bar at the 2017 Scottish Entertainment and Hospitality Awards! In order to win, we need your help. 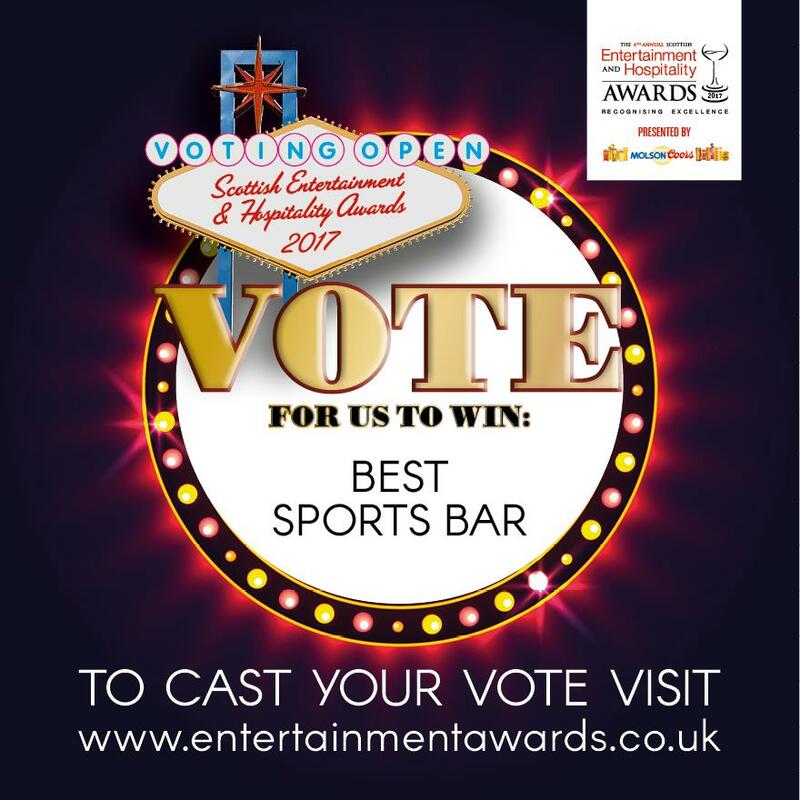 Please visit @ http://entertainmentawards.co.uk/vote-now/ and write ‘Sportsters Falkirk’ in the box labelled, Scotland’s Best Sports Bar of the year. Buy why should we win? Well, we are one of Scotland’s largest Sports Bars with over 60 screens and multiple projectors to show a variety of sports and channels across the venue. We also are one of the best venues to watch the biggest sporting events, drawing hundreds of people in for events such as England v Scotland last year. Alongside being able to watch the sport, you’re also able to take part! We have plenty of pool tables in venue for you and your mates to get playing. We also work closely and support the local community and sponsor football clubs such as Braes FC & Stenhousemuir Ladies FC. We also proudly support our local team, Falkirk FC! We’ve followed them in the Scottish Cup Final and the Play-Off final. While they didn’t have success, we’ll be right behind them for the next challenge. On top of all this sport, we also provide quality food and drinks, 7 days a week for all customers of the local area. From couples, families, friends, we’re always here to provide the best experience possible. Plus, if it’s a party you’re after, we’re open until 3am every Friday and Saturday! We appreciate all your support, so please spread the word and help us get Falkirk’s very own Sportsters to number one!